Believe it or not, artificial grass has been around since the 1960’s! It’s widely acknowledged that an American man named David Chany, leading a team of researchers at the University College of Textiles in North Carolina, created the first notable synthetic turf. Since this time, the production techniques have moved on significantly and artificial grass can now be manufactured in such a way that today makes it affordable to residential homeowners and families, not just sports clubs and education institutions. In this article we will make the case for why you should consider replacing your lawn with an artificial grass lawn this summer. It is a complete myth that artificial grass lawns are not safe for children and pets. Providing the top layer of your new artificial lawn is of good quality and ensuring it is installed correctly on top of the appropriate layers will mean that it has a soft impact underfoot (and should anyone fall on it!). There are many, many gardening and landscaping companies offering artificial grass installation today. We recommend finding a team who can discuss additional options to help improve safety where children are concerned; for example, should you want to have an artificial lawn underneath a kids play frame it is possible to have crash mats installed which further soften the impact when falling on artificial grass. Using the correct membrane as part of the installation process – the membrane prevents weeds growing up through it, but should be permeable to ensure liquids can soak down through it – this means that any pet urine (and heavy rain water) simply soaks through and drains away appropriately. Cleaning up artificial grass after pets can be easily achieved using specialist cleaning products. It is advisable to use non bleach cleaning products only, as not to discolour your synthetic lawn. Where possible, try to purchase appropriate cleaning products from the same company which you bought the artificial grass. One of the most significant reasons you should be considering the installation of an artificial lawn is the fact that it offers virtually zero ongoing maintenance! Perhaps your lawned area is small and you can’t justify the purchase of a lawn mower to maintain it, or your garden is subject to heavy footfall and usage from children and pets thus becoming muddy, patchy and a nightmare to maintain! Artificial grass could be the answer to all your problems. 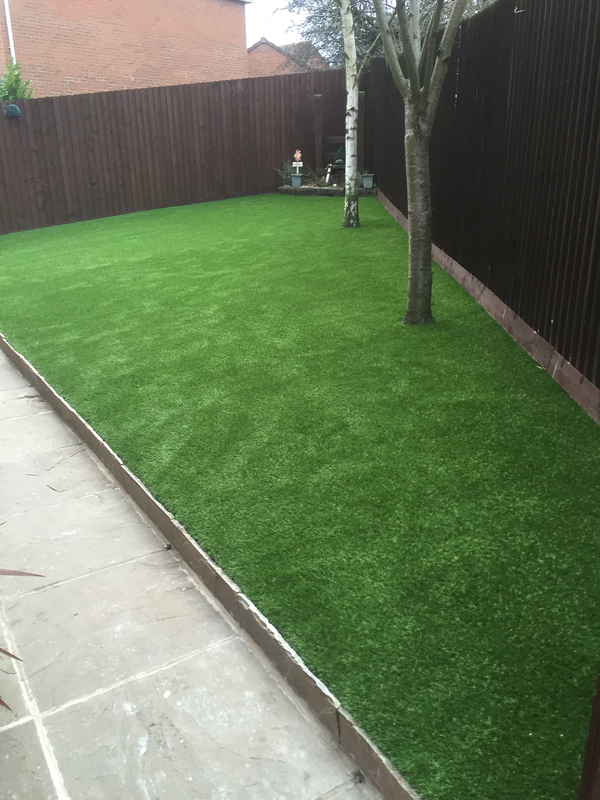 As well as improvements in the manufacturing process of artificial grass over the years, the techniques employed to install these synthetic lawns has also developed and if you can find the right installer then even the most complex and tailored installation requirements can be fulfilled. Many artificial grass installers also offer comprehensive warranties on their work and we’d always recommend looking into this before making a commitment on whether to buy artificial grass. If you thought it couldn’t get any better than no watering, no mowing and no feeding / maintaining of your garden, just wait until you see your artificial lawn during the winter months. Where typical grass lawns perish under heavy footfall and tough weather conditions, a quality artificial lawn will withstand almost anything thrown at it! It is even possible, for areas prone to particularly heavy footfall, to purchase specially produced artificial grass with a spring back yarn that enables it to simply pop back up having been flattened under foot. 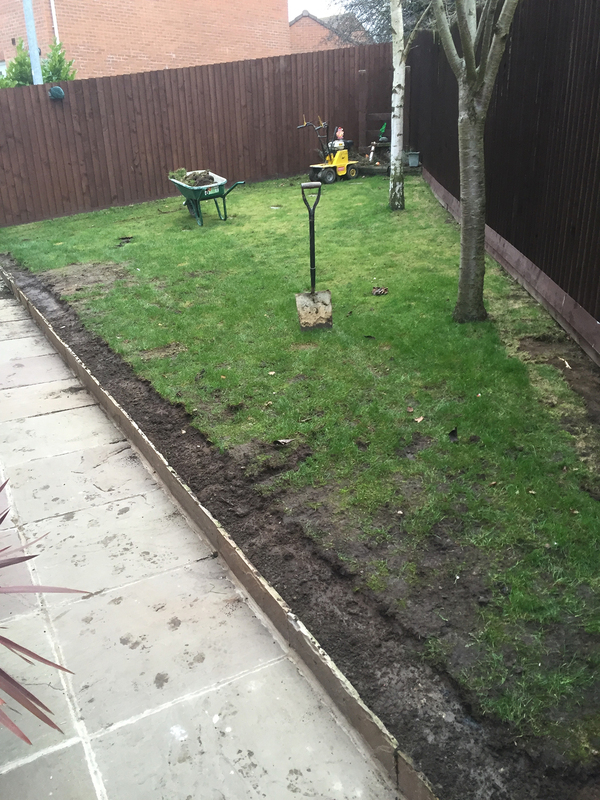 If your artificial grass has been installed correctly it should last many, many years with very little maintenance or worry that you’ll have a boggy, patchy garden lawn. Take a look below for an amazing transformation. For more information on buying and installing artificial grass, please visit Polished Artificial Grass.